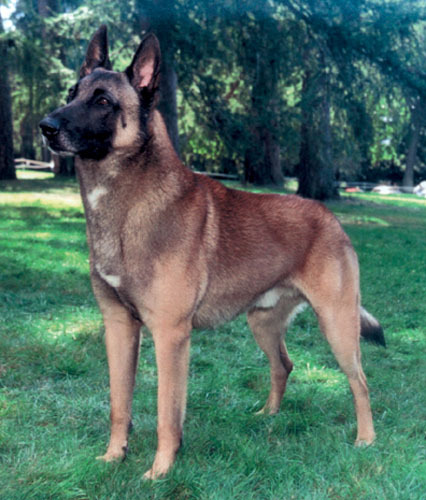 The Belgian Malinois is also known as Belgian Shepherd Malinois, Chien de Berger Belge, and Mechelse Shepherd. It is named after the Belgian city of Malines and is rare in the United States. These dogs are very powerful, protective and territorial, vigilant, dedicated and affectionate. Because of these qualities they are great for working or obedience training and may be used for herding or in police departments.